Thai Pongal, the harvest festival of Tamil Nadu falls in mid January after the winter solstice. 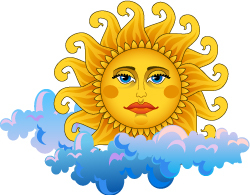 It marks the auspicious beginning of Uttarayana, which marks the sun’s movement northwards for a period of six months. This celestial occasion is celebrated as Pongal. 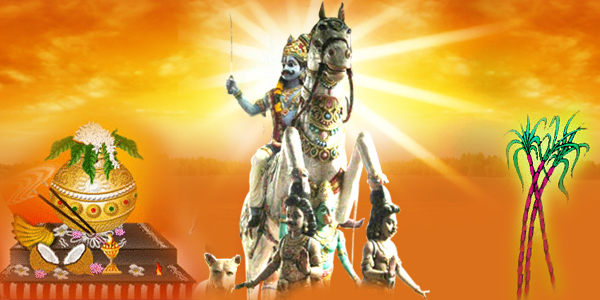 Most of the important events are scheduled to perform during this period as it is very auspicious. Thai Pongal is celebrated for 4 days that signals the end of traditional farming season. It also marks a beginning for a series of festivals.Thai Pongal – Harvest festival of Tamil Nadu is also referred to as Vedic Winter Solstice in the west. This year’s four day celebrations begins from January 14th to January 17th. People usually offer their prayers to Gods and Goddesses during these days to make the upcoming year a favorable one for them. On the day of Bogi festival, January 14th, People will throw away old materials and attires to mark the beginning of a new life. This is the time to clean your homes and mind, prior to the transit. On Thai Pongal, January 15th, people celebrate this day by boiling fresh milk very early in the morning, allowing it to boil over the vessel. They also prepare several sweets, exchange their wishes and visit their relative’s house. On Mattu Pongal or cow Pongal, January 16th, everyone offers their thanks to cows and buffaloes. They are well fed and their part in the big echo wheel is acknowledged. On Kaanum Pongal, January 17th, people gather along with their family, go out for picnics and rejuvenate themselves to make the harvest festival of Tamil Nadu a memorable one. These 4 day celebrations can stir up your awareness and help you receive what you really deserve! Offer your prayers on this Pongal with AstroVed to make this year a great one for you. Offer your prayers and perform Homas on Thai Pongal , to expand the divine blessings and to enrich your life. We at AstroVed are proud to have special Homas and offerings to make everyone be blessed with positive energy on this New Year. Join us to make Thai Pongal – the harvest festival of Tamil Nadu, an auspicious one for you.